Green initiatives are important for an environmentally conscious business and great uniform rentals, as they allow us to clean and maintain them with minimal environmental impact. Green initiatives are important for an environmentally conscious business and great uniform rentals, as they allow us to clean and maintain uniforms for your business with minimal environmental impact. If you are considering uniform rentals for your business in the future, consider the many ways in which these rentals are an excellent choice for going green with your business. By using our products and services our customers can utilize green initiatives for their business by reducing solid waste through product reuse. This makes reusable textiles one of the best environmentally responsible choices for a business. These green initiatives for our business allow us to provide great products for your business with minimal environmental impact. Lord Baltimore is an excellent partner for green initiatives. These best practices for green initiatives have the potential to positively impact your business with efforts to be eco-friendly throughout the year. As a business working to provide great uniforms for your business, we value green initiatives for our own processes as well. In doing this, we strive for the greenest solutions for our cleaning and maintenance processes, such as with our wastewater from cleanings. With this, we rely on an oil skimmer and sediment separator to maintain and improve the quality of our wastewater as it leaves our facility. 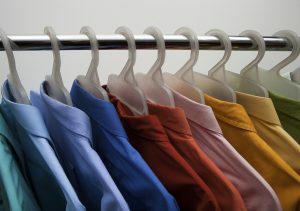 In addition to maintaining our wastewater, we also strive to reduce the impact of our detergents by cleaning garments with only environmentally friendly detergents in our facility. This entry was posted on Friday, April 13th, 2018	at 10:42 am	. You can follow any responses to this entry through the RSS 2.0	feed. Both comments and pings are currently closed.